Parque Empresarial de A Gandara, Av Castelao 18, 15570 Naron, Spanje. 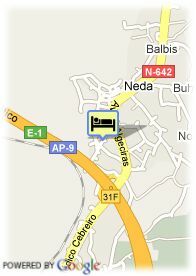 Hotel located in the A Gandara Business Park. This recently built comfortable hotel is located in the A Gandara Business Park, near the Narón shopping mall and the Pazo de la Cultura, in the A Gandara residential area. At just 3 Km. from Ferrol city centre, very well connected with the main ways of access and with beautiful beaches. All the rooms are tastefully decorated with a minimal style and light colours. 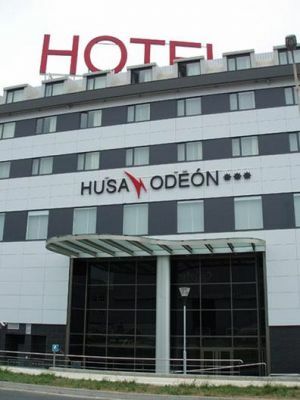 Hotel Husa Odeón has in addition a lounge for banquets that can hold up to 350 people, as well as two meeting rooms that can seat up to 70 people.